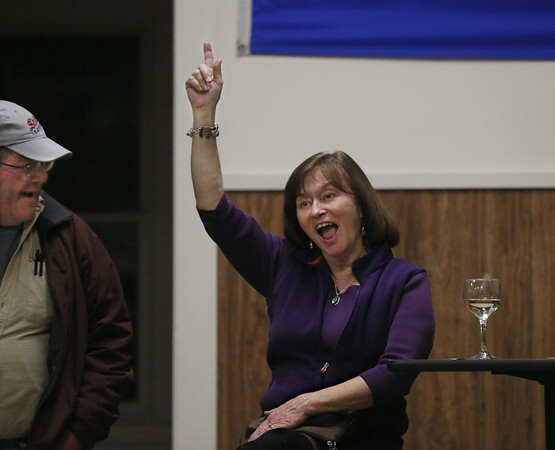 Mary Hubbard raises her hand after her ticket number was called during a door prize drawing Monday during the AMVET Post 32's 500 Club's 20th anniversary raffle drawing at the AMVETS center in Gloucester. The club, organized by chairman Peter Tibbetts, draws two $500 raffle prizes, plus several smaller door prizes, at its meetings on the last Monday of each month. Proceeds benefit the group's scholarship fund.